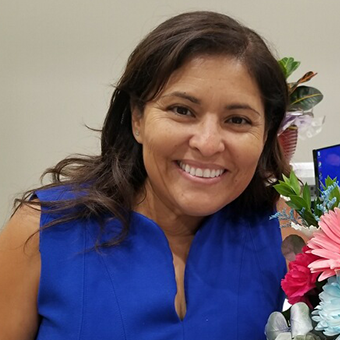 SACRAMENTO, Calif. – Modesto family physician Silvia Diego, M.D., was honored today with the California Medical Association’s (CMA) most prestigious award, the Frederick K.M. Plessner Memorial Award. The award, which honors the California physician who best exemplifies the ethics and practice of a rural country practitioner, was announced at CMA’s annual House of Delegates meeting in Sacramento. The daughter of farm worker parents, Silvia Diego grew up in the small town of San Joaquin in western Fresno County. She was the first in her family to graduate from college and went on to get her medical degree from Stanford University School of Medicine. After graduating from medical school 1994, Dr. Diego completed her residency in Family Medicine at the Stanislaus Medical Center in Modesto, and has remained in Stanislaus County ever since, with a mission of providing care to the poor and uninsured. Dr. Diego practiced for 18 years at the nonprofit Golden Valley Health Centers, where for eight years she served as chief medical officer. In that role she oversaw care for 20 primary care clinics and more than 100,000 patients. Dr. Diego selflessly stood up for her patients when a new management policy sought to increase patient numbers at clinics in response to the wave of Medi-Cal enrollments through the Affordable Care Act. Dr. Diego stood her ground, insisting that doing so would mean they would have to compromise the quality of the care they were known in the community for providing. Ultimately, she was she was fired for opposing these new policies, which she believed would undermine care for low-income and indigent patients. In private practice at Family First Medical Care, Dr. Diego has maintained her commitment to providing patients with the very best care—with a focus on those most in need. Even though it’s a financial challenge for the practice, 50 percent of her patients are on either Medicare or Medi-Cal. Dr. Diego has been a member of CMA and the Stanislaus Medical Society (SMS) for more than two decades. She is a past president of SMS and is currently a member of the CMA House of Delegates. This year, she was the first female physician named as Stanislaus Physician of the Year. © 2019. Family First Medical Care.